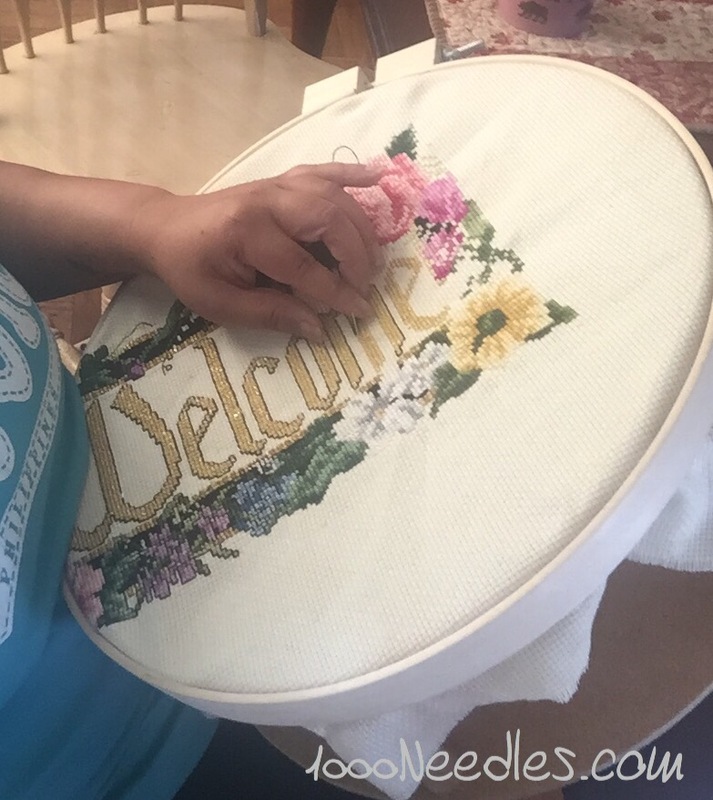 It works great with my cross stitch when the project is not almost done. I still love it. 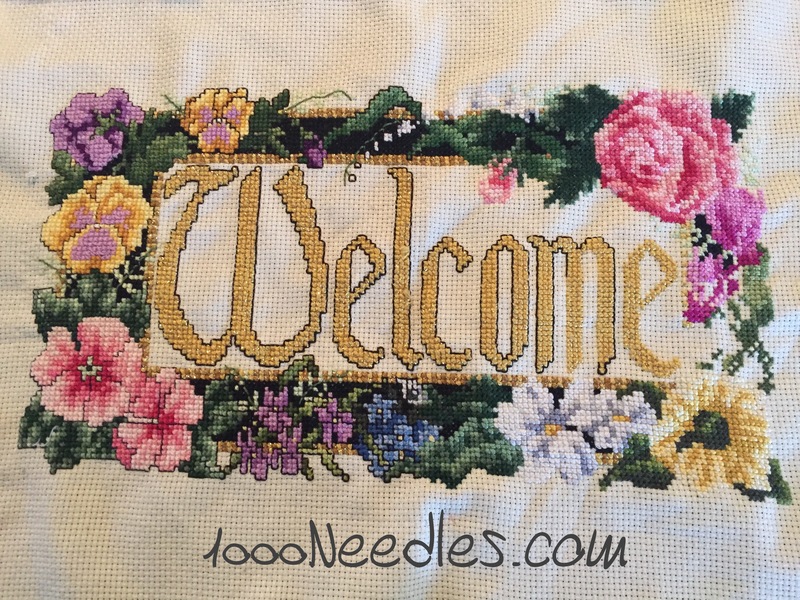 But, the Welcome project is almost done. 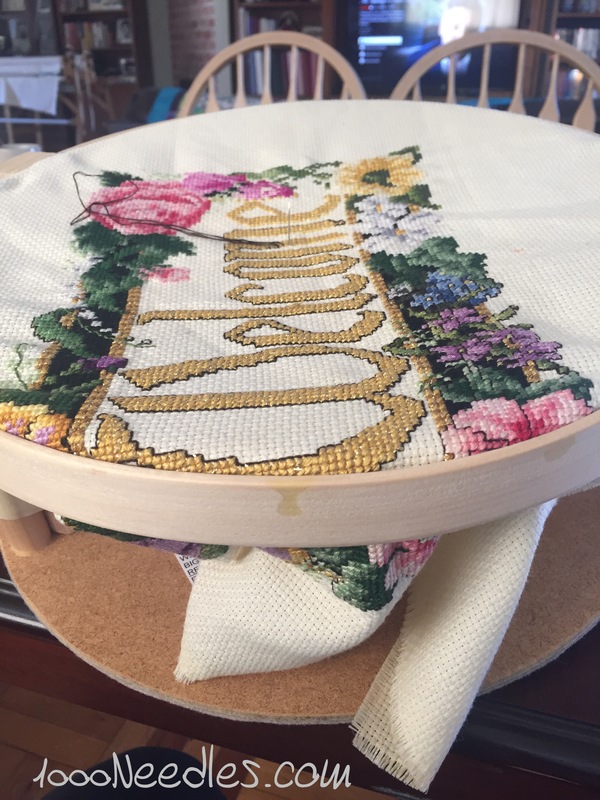 I was having difficulty putting the hoop on where I needed to do the detailed work. I know a lot of people don’t use a hoop. And for a long time I didn’t use one either. I was too lazy to put it on and it didn’t matter to me in those days. 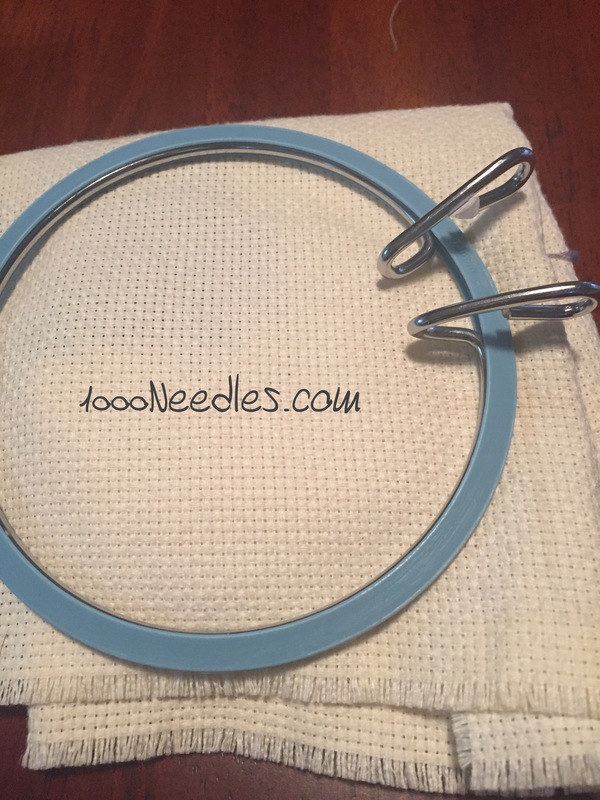 The stitches looked the same to me whether I used a hoop or not. 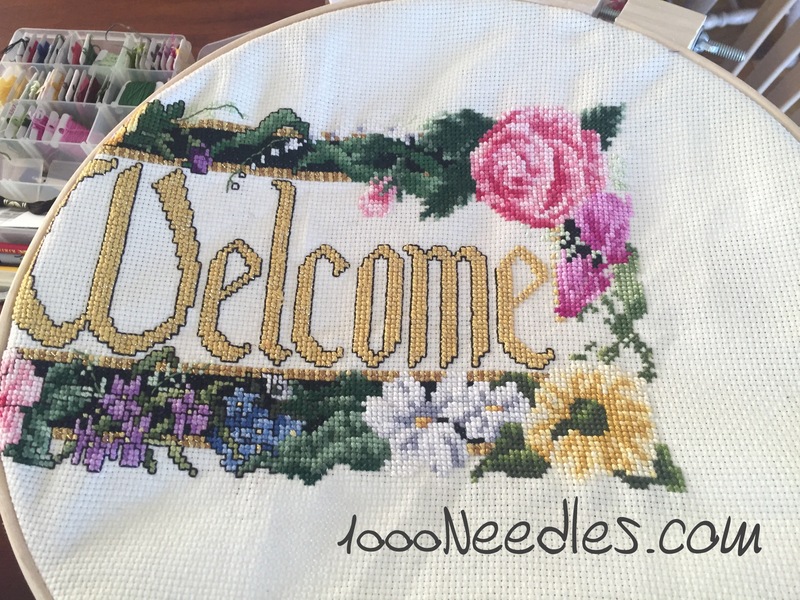 But when I started cross stitching again, I enjoyed the look of my stitches when I would use a hoop. And that’s why I use a hoop now. In the past few weeks, I struggled to put the hoop on and week to week it was getting harder and harder to do. Until today, I couldn’t do it. The dang thing wouldn’t stay on. It kept popping off. Now if I had a wooden one I probably wouldn’t have that problem. And I know I’ve got a wooden one around here somewhere. But, I had my big quilt hoop in an easy spot right in front of me and I didn’t need to dig around looking for it. So I used it. And I LOVED it! I really liked the space underneath that allowed me to easily move my hand from the top to the bottom without having to fuss with the project. I also liked leaning the hoop on my table so I wouldn’t have to bend over the project.